You are here: Home / FILM News from STUDIO BRIEFING / IS HOPE FADING FOR SPIDEY ON BROADWAY? 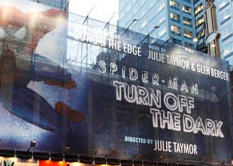 Although the $65-million Broadway musical Spider-Man: Turn Off the Dark will have to run for years before it is able to generate a profit, the general manager of the Foxwoods Theater, where it is playing, is already talking to producers of other upcoming productions about keeping his theater in mind, the New York Times reported today (Tuesday). The musical’s first preview performance on Sunday was plagued with technical problems, and members of the audience complained about a confusing script and uninspired music. The Times said that the theater manager, Erich Jungwirth, made phone calls to at least three Broadway producers while the Spider-Man show was struggling with preview delays. In a statement to the Times, Jungwirth confirmed that he had met with other producers to introduce himself “and to see if there are any shows coming up that may be able to play in our venue; this is what keeps the lines of communication open and allows both operators and producers to know what inventory and product are available. 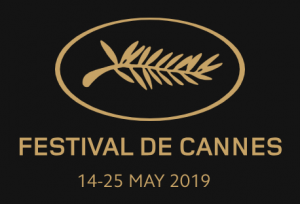 As for Spider-Man: Turn Off the Dark, we are incredibly positive about the prospects and are optimistic that the show is going to have a fantastic run at the Foxwoods Theater for many years to come.” The show is directed by Julie Taymor, who brought Disney’s The Lion King to Broadway.